Looking for a perfect gift for your Mother? Surprise her with this sleek and elegant Gold Mom Ring. 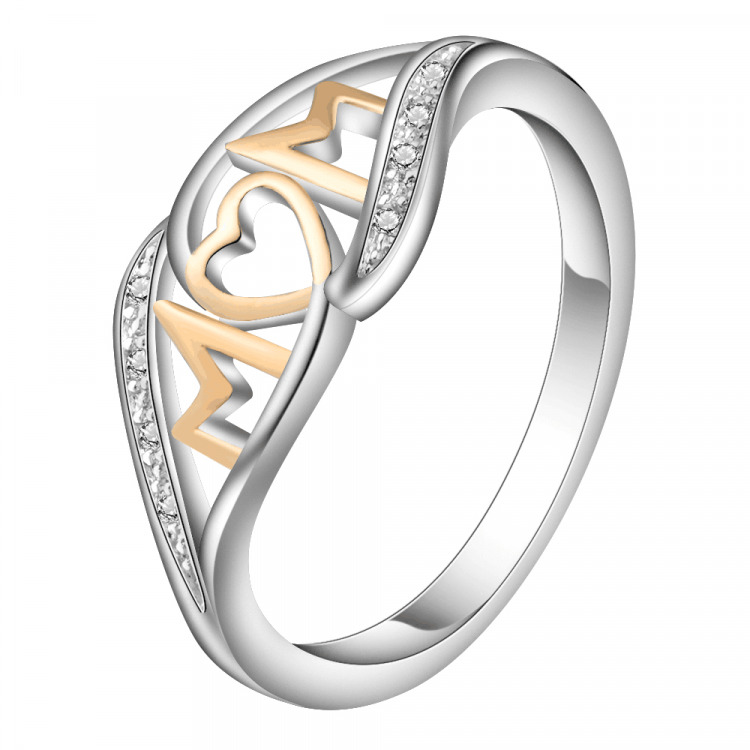 This gorgeous design features the word "Mom" in Gold and Rose Gold. It is also embedded with dazzling white CZ stones, adding a subtle shimmer in this one-of-a-kind ring. Buy one for yourself or for the special mothers in your life!